Whitely receives her prize from Parris Lyew-Ayee, Chairman of the JNSBL Board of Directors. Nail technician Maxine Whitely considers herself an artist with each fingernail she paints being the canvas on which she expresses herself. For her, every nail represents an opportunity to be artistic and it is a task that she relishes. “I see each finger nail as ten different canvases on which I can create a masterpiece, to suit the person whose nails I am working on,” said the mother of two. 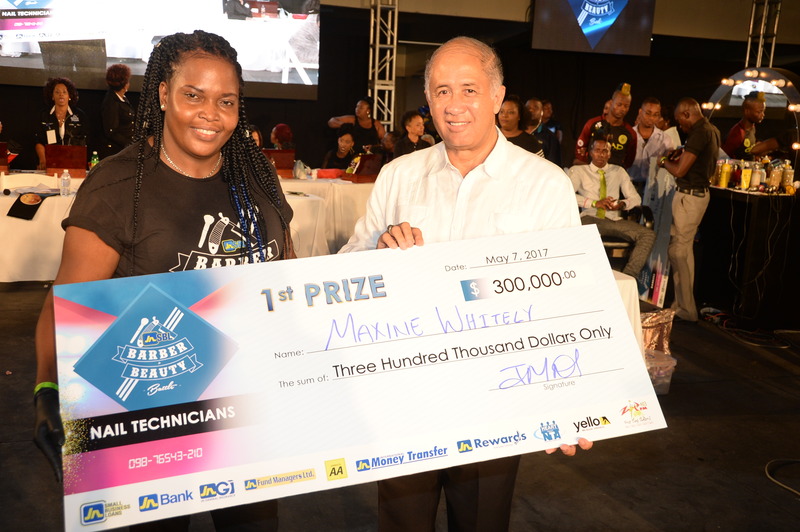 Mrs Whitely, who hails from St. Elizabeth, was the winner of the nail technician category of the JN Small Business Loans’ (JNSBL) Barber and Beauty Battle 2017. The Santa Cruz-based nail technician finished ahead of Chevaughn Gordon Hutchinson and Samantha Smith, and won the $300,000 cash prize. 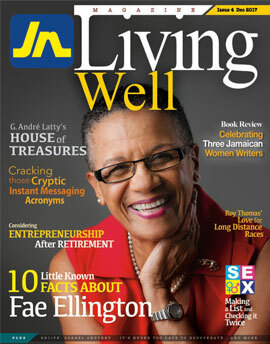 Maxine Whitely’s model shows off her interpretation of the JN Fantasy. 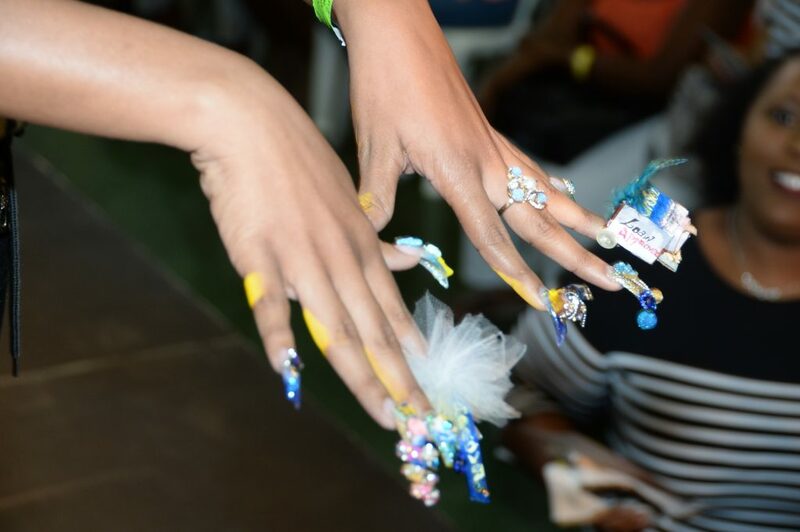 Mrs Whitely’s love affair with nails began while attending high school where she was trained as a cosmetologist at Ocho Rios High School in St. Ann. After graduation she worked as a hairdresser. However, all that changed when someone new came to her community. Prior to winning the JNSBL Barber and Beauty Battle, she marketed herself by word of mouth and on social media. Since winning, she has experienced a major upturn in her business with persons travelling from overseas to access her services. “The competition gave me a lot of exposure and I am still reaping the benefits,” she explained. “People are still coming up to congratulate me about winning. Some persons call me from overseas, to book their appointment, so I can do their nails. Each client has a different need. And, as long as I am able to meet their needs and they are satisfied, I know that I accomplished a good job,” she related. She also credits the competition for improving her abilities as a nail technician. 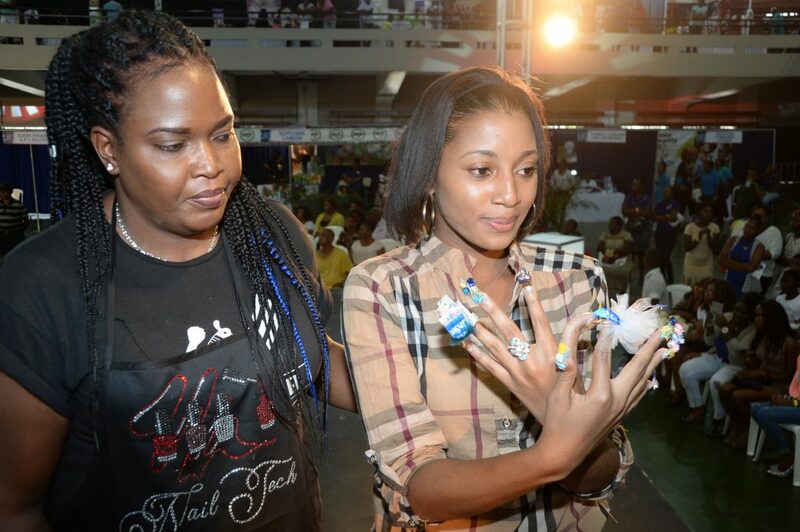 Nail Technician Maxine Whitely and one of her models show off her artistic impression of the JN Fantasy during the JN Small Business Loans Barber and Beauty Battle at the National Arena last year. Whitely, who hails from Santa Cruz, St. Elizabeth won her category. As part of winning the competition, the wife of a New Testament Church of God Pastor, received a cash prize of $300,000; and awarded a Level III Certification from the Heart Trust/NTA. In addition to working as a nail technician, Mrs Whitely also teaches the craft to younger persons; and, she dreams about opening a school, to employ more teachers and allow her students to receive HEART Trust/NTA certification. “There are many persons in the profession who watch YouTube videos and then call themselves nail technicians. What they learn are bits and pieces, which cannot accomplish all aspects of the job. I plan to open a school in the near future, which will allow persons to benefit from training and certification; as well as, be future winners of the JNSBL Barber and Beauty Battle,” she outlined. Mrs Gillian Hyde, general manager, JNSBL explained that some of the motives behind mounting of the competition included: the development and certification of talent in the beauty industry; as well as, the opportunity for professionals to share their knowledge with colleagues, while growing their operations. Mrs Whitely, a dedicated Christian, said that her family supports her 150 percent and were there with her on the day of the finals.